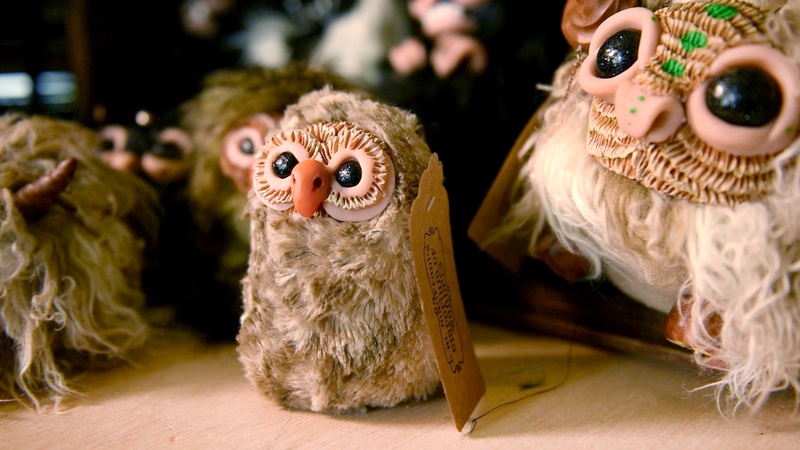 This week, we’re interviewing Clara Manfredi, the sculptor behind the art dolls of C. M. Manfredi’s Emporium of Wonders. 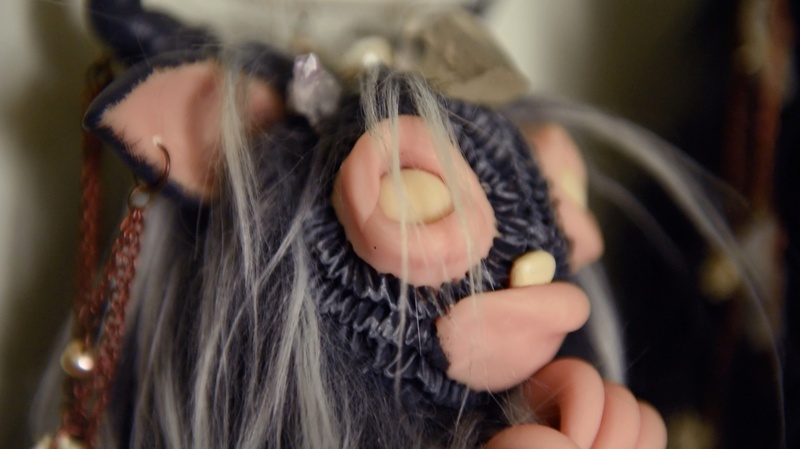 Clara creates furry and ceramic monster dolls, each with their own stories and personalities built in. 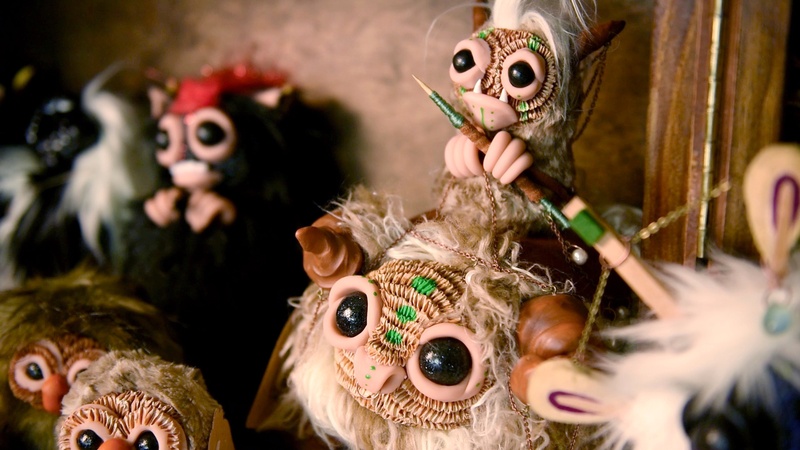 Using polymer clay, faux fur, paints, and embellishments of all kinds, she has built a diverse line of creatures that are meant to be handled and touched. 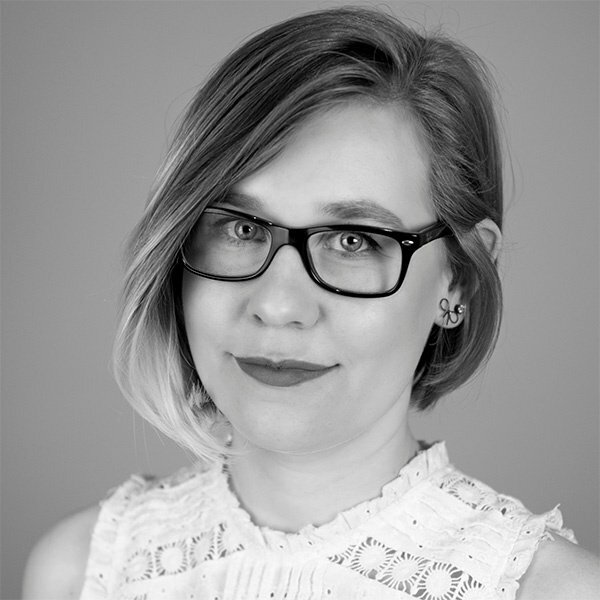 If your brand sells to sculptors or doll makers, this 1-on-1 interview with Clara will give you important insights that can help you connect with makers like her. My name is Clara Manfredi and I primarily make monsters. It’s a weird story. I got started making multimedia art dolls a few years ago. I’d been laid off and I was going back to school. I was in biology class and this girl that I was sitting next to was telling me about her family friend, and their daughter was 11 at the time and she was loosing her eyesight and she was a big art fan. Instead of being upset or depressed, she started making movies for the audio-impaired, at [the age of] 11! I just wanted to do something nice for her because she was doing something constructive instead of being bummed out. I couldn’t figure it out and finally I was like, I’ll make something three dimensional. I wanted to make something with a lot of different textures that she could keep enjoying even after she’d lose all her eyesight. So the very first one, I look at old pictures of it and I don’t even really know what it was, it was like this alien-bunny thing and it had lots of texture on its face and it had a furry body, and just different things that she could see. And I did really exaggerated facial features, like really giant eyes so she could clearly feel where the eyes were and where his features were. It went over really well. Somewhere I still have the thank-you note she sent me. But then the next one, it was for my mom, she just wanted an owl. So I made her an owl, and then it just kind of slowly started growing from there. I had no intention of doing it as a living, I was going to school. But one thing led to another and here I am making monsters all the time. What goes into making a monster? It’s a process. You start with clay, then there’s the prepping [of the] clay, even with polymer clay there’s still some prep work because you have to align the polymer molecules or they’ll be more fragile. Usually I’ll start with an idea, I come up with a concept, sometimes I come up with a story as I’m working. 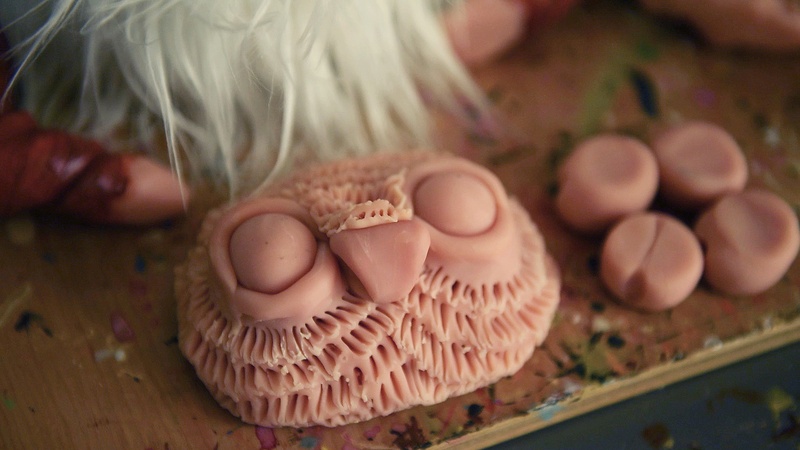 I’ll find myself thinking as I’m working with the clay, “Who is this creature? Where would it live? What would it eat? Does it hunt? Is it a beekeeper? What does it do?” And then I start building the features from there. Once I’m done sculpting the piece, it goes into the oven. And then while its curing, I usually start looking through the fabric and trying to decide what color of fabrics and what type of fabrics I wanna use. Once that’s done, I match the colors, I hand mix all my colors, I don’t use any straight colors. I match everything to the fabrics, so everything blends in so it’s one seamless creature. Sometimes I accessorize them, sometimes I don’t, just depends what I’m working with. Some of the more complicated ones get arbiters so that they can stand up. What are the materials that you like to use and how do you choose them? I use polymer clay, I specifically use Super Sculpey because it’s not too soft, it’s not too hard. It’s a really nice material to work with. I use fake furs, the stuff that I used to use is dramatically different from the stuff I use now. When I first got started I had no idea even what the word “pile” meant, let alone the density of the furs or the lengths. I just was using whatever I could get at Joann Fabrics. Now I’m ordering through a couple of different suppliers, most of what I use runs anywhere from $25 to $50 a yard, so it can be pricey. But it’s worth it, because when you hold them, it feels like real fur, you can’t see the backing through it. It’s like holding a real animal. It’s definitely of much higher quality. Is there research that goes into each creation? I honestly don’t do a lot of research. Sometimes I do, when I was making the bees for the beekeepers that I was working on, I had pictures of honeybees everywhere so I could at least get their basic anatomy right so they’d be believable. A lot of [research] is watching things that my dog does. My dog begs for love, so a lot of my creatures will have these big eyes, they’re just begging to be interacted with. I think that’s one of the big goals I have, right from the start these were meant to be touched, meant to be interacted with. So I want them to make people want to touch them. They’re not supposed to just sit there and stare at you. Have you always had your hands in art? I’ve always done art and I’ve always worked more on the sculpting end of things. As far as making art dolls, I had no idea what I was doing. I just started guessing at stuff. I didn’t do any real researching until much later, when I started trying to do things that had four distinct limbs. So then I was researching like “What types of wire can you use? What materials can you use for this?” I wing things a lot. I’m not a direction follower. Do you have a purchasing process for your materials? I’m not at a point where I can do things in bulk, plus my space is really limited, so I don’t have anywhere to store it. So I try to do things a yard at a time. I’ll keep a yard or two on hand of fabric I use most commonly. And then when I do custom orders, I order the fabric specific for what I’m working on if I don’t have it. Which social media platforms are you most active on? For a long time I was most active on Facebook. Instagram took me a really long time, I didn’t wanna do Instagram, I was really resistant to it. [Eventually] I did it on a whim, because there were some other artists that I really admire that I wanted to be able to kind of follow their work. When I saw what a great platform it is for artists and for sharing and connecting with other people, I was like “Oh!” So now I have an Instagram account, and I’m probably most active on Instagram of all places. I know there’re people out there that are going to laugh about that. But I actually sell a lot of things through Instagram, I’ll be working on things and people will email me saying “I want that, I’m buying that.” And I’m like, “It’s not finished, you don’t even know what it’s going to look like.” And they’re like “No, no. I know what I want and I want that.” And then I just send them an invoice through PayPal. It’s been really fun because I can really interact with people through the work process. I post a lot of in-progress stuff so people get to see how things come together. I think people like that, I think people like to see how something starts and how something ends. It’s been cool. It’s mostly out of my head. It’s from things that are around me, sometimes it’s color, sometimes it’s a shape. I grew up on Jim Henson, I think it’s really obvious when you look at my work. It’s really obvious when I go to shows. You can always tell what age group you’re talking to by what they see. They’re like “Oh, it’s Trolls,” and they’ll always be my parents’ age and up. My age group, it’s always “Oh its Labyrinth or The Dark Crystal,” and I think “oh, that makes sense,” because I totally referenced those. But then I get younger kids who are going “It’s Furbys.” But ya, Jim Henson plays a huge role stylistically in how I grew up and what I was watching and what I was drawn to aesthetically. But then there’re things like my dog, the way he begs for love and attention. So they’re definitely modeled after that to a degree. I’m an avid gardener, I’m always surrounded by flowers, I love color, I like shapes. So it all plays into it at the end of the day. How much time is usually spent on a little monster? It could be anywhere from 45 minutes. The spiders, the unicorns, the bigger more complex stuff, could be upwards of 16 hours. I don’t use sewing machines, I don’t use molds, everything is one at a time, completely, 100 percent by hand. So when you do something that has a lot of pieces, the spiders can have upwards of 58 pieces, they’re 16 hours depending on how big they are. How do you go about showing off your work? I am a really really big fan of OddMall. I love OddMall, but I got my start there. I had a friend invite me to take a corner of his stand. And I really didn’t want to do it because I don’t like being put on the spot and I felt like I would have to answer too many questions. And I did it, and I was really nervous. And then the other vendors started coming in and setting up, and I looked around and I was like “Oh, these people are all freaking weirdos like I am, I totally belong here.” I was immediately comforted and I just kept doing OddMalls. I plan all my other shows around OddMall. Over the next year I’m going to start trying to move into doing bigger events, more Comic-Cons. This year was my second year at Wizard World in Cleveland. And that’s always a really fun time, the cosplayers are amazing. [At the first trade show I attended] I think I had five dolls and a couple pencil pieces with me. And I made enough at that first show with as little as I had to pay to do the next show. People. Particularly their reactions. There are people who think its just a nice thing to put on a shelf, and that’s cool, but the ones that really get me are the ones I can see from six vendor tables away when their face lights up. They B-line over and there is something right there, specific, that they fell in love with. And I know it, because they come right to it, they don’t look at me, they don’t look at anything else, it’s that one thing. I think that’s the best part. Seeing someone light up and really fall in love with something. What is the community of makers like for you? The vendors are amazing. Right now I’m doing the Cleveland Bazaar and OddMall. The vendors, it’s like a family. I’ve been sick, I have a couple of autoimmune disorders that I’m really struggling with and this year’s been really hard. I was actually just in the hospital. Friday I was in the ER. Saturday I had a show. The vendors that I’m friends with at the Cleveland Bazaar, I didn’t even unload my car, they came and took everything. It’s a whole separate family. You know that you can rely on one another, you know you can trust one another and it’s really amazing. It’s a really amazing community of people, both at Cleveland Bazaar and OddMall. They’ve all been really really helpful. I was concerned I wouldn’t be able to keep doing shows and carrying all the heavy stuff by myself, because I usually do shows alone. But I’m never alone, i have this huge family right there that’s willing to help me. When you began, what was your motivation? I did it because I wanted to. After my second layoff, two in under three years, I thought people were buying my stuff, and I was tired of being a cog in someone else’s wheel, and I was tired of the instability of the work market. I thought if it’s going to be unstable and I don’t know what’s going to happen, I might as well be unstable on my terms. I came home and I told my fiancé that I wanted to restart going back to school to really make a go of this business. So I went in a different direction, I stopped taking all the medical classes I was taking, at that point the medical field was already flooded, and I started taking nonprofit management. The longterm goal is to open a facility that combines art in the STEM fields and teaches classes on a sliding scale so that everybody can come take a class, not just someone that can afford $99 for six weeks. I knew I didn’t ever wanna go back to working for someone else again and being told what to do and being treated like I was just a thing they could get rid of. I’m not. What are some challenges you deal with? Shipping. Shipping is nerve wracking. Shipping is scary because I’m taking this thing that I made, and I love every one of them, if this wasn’t a business they’d all stay, and it’s really hard to take that thing that you made that you love and put it in a box and set it in someone else’s hands and send it across the country. More recently I’ve been shipping to London and Canada, and I’m taking this thing and it’s going away from me and I have to trust someone else not to break it. I can’t always trust someone else not to break it. There have been things that have arrived broken and it’s heartbreaking when you get that email. A lot of times I can rebuild it or fix the part that broke, but then there’s this conversation like “OK, mail it back to me, I’ll repair it, if I can’t repair it I’ll rebuild it. Then I’ll mail it back to you.” Then I’m taking this fixed thing and putting it in a box and doing the same thing over again! And this time I’m really hoping it doesn’t happen. It’s nerve-wracking, I hate shipping, I hate shipping! There’s always new things. I’m experimenting with LED lights, so these guys [picking up a smaller monster from the table] have lights inside and you can turn them on and off. I’ve also started experimenting with thermo-chromic pigments so I’m making small figurines that change color. It’s kind of a pain to mix into the clay, but it’s totally worth it because the effect is amazing. They’re like little snails and when you hold them the heat of your hand makes them change color. That was a total accident, I was ordering supplies on Amazon, and the little advertisement popped up and I was like, “Ooohhh! What can I do with that?” The stuffs expensive, it’s like $19 for a little jar of it. And I thought it was a little pricey but I figured I had it in the budget, so let’s experiment with it and see what we can do. So I’m starting to experiment with that. I’m combining it with liquid polymer clay, which is another new material that I’m still experimenting with, and I’ve discovered you can do color-change drops and cook it, and then you can take those drops and embed them into the faces of the monsters and you can cook it again and it doesn’t impact the color-changing. So then you can have little monsters that have color-changing gems on their faces.